Lake Tekapo is a hydro lake with its water used to generate electricity for New Zealand's main grid. 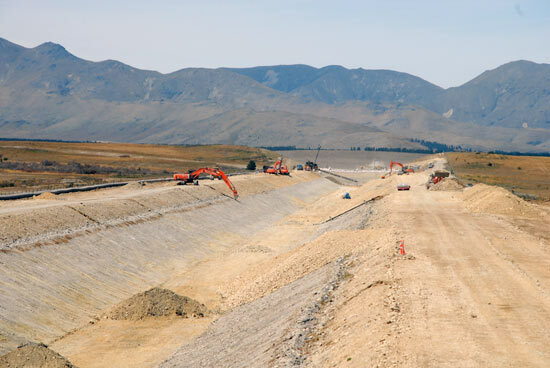 Part of a large network of hydro power stations, water from Lake Tekapo passes through a tunnel under the outskirts of the village to the Tekapo-A power station. 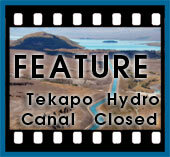 As is exits the power station it enters a hydro canal that transfers the water to the next power station in the network, the Tekapo-B power station on the shores of Lake Pukaki. 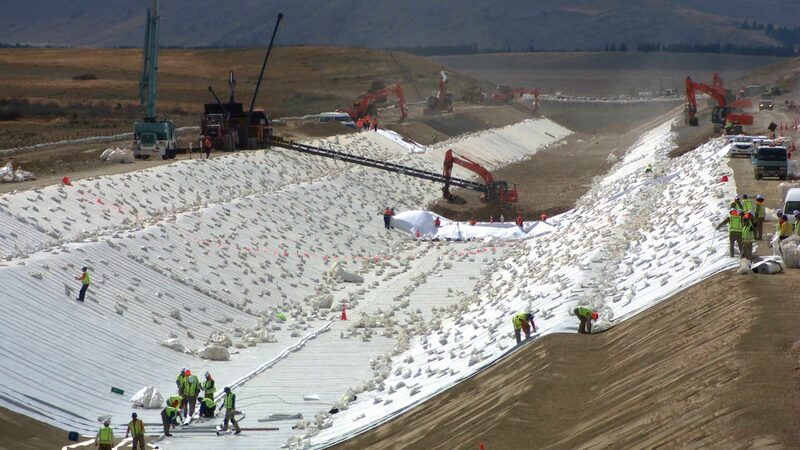 That canal is undergoing an upgrade, including sections of the canal being lined with a waterproof liner. The scale of the project is massive. Part of the project involves the crest of the canal, which includes the road, being removed in preparation for the liner being fitted. So in addition to the canal being a construction zone, there is no longer a "road" for significant sections of the canal. 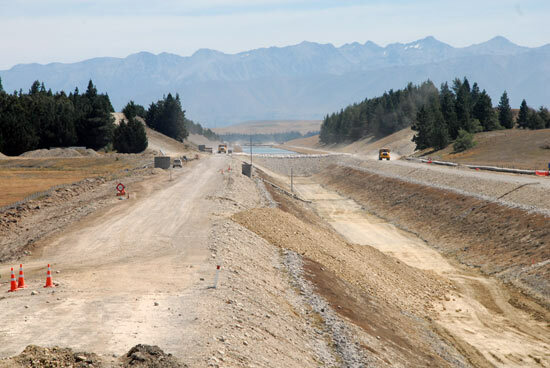 Therefore the Tekapo canal road, a popular tourist route, is now closed until completion of the project, around July 2015.